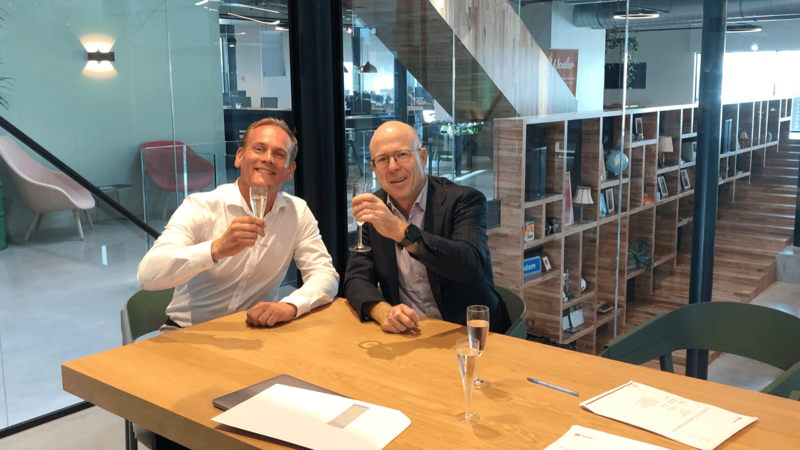 PRESS RELEASE: The Netherlands - 4 September 2018 - Betty Blocks, the leading no-code application development platform provider, today announced that Dutch indoor climate systems supplier, Itho Daalderop has chosen the no-code platform to build a series of innovative applications that will replace the majority of their legacy applications. As more organizations are seeking faster methods to achieve digital transformation, adopting the Betty Blocks platform enables the company to streamline work processes and improve service to customers. In order to resolve this, Itho Daalderop sought a partner that would provide the means to renovate their IT landscape. While many partners offer digital solutions developed by the traditional method of coding, Itho Daalderop was looking for a more innovative partner. “We designed new architecture for how we want to form our future IT landscape,” de Jong said. “We searched for a partner to create this new system landscape. We talked to a lot of software suppliers and came across the option to have a no-code platform. With this platform, we can be more in control and we can bring application development closer to the business. After evaluating multiple platforms, Itho Daalderop shortened their list down to two options: one “arrived” low-code supplier with a large market share and a ‘new kid on the block.’ After a Proof of Concept with both parties Itho Daalderop concluded that Betty Blocks provides the most suitable platform. Betty Blocks proved to offer the same functionality while being better in price and release management. “It’s not just a new tool, it’s a change in the way we work,” de Jong said. “Our ambition is to build every application we need with Betty Blocks. We want to create an architecture where all business information will be in one layer, where we can gather all the important business information and product data. On top of that, the business should be able to create all applications necessary to service our customers. The layer is maintained by the central IT department and the customer-facing front end applications should be made and controlled by the business departments. Betty Blocks’ partner QNH, will help Itho Daalderop to setup the Betty Blocks platform and make a quick start to build the first applications. By building in a collaborative way, the knowledge of the apps will be within Itho Daalderop own teams. In this way Itho Daalderop will be in control and can make fast adjustments to the applications in the future. With Betty Blocks, the business can use an innovative platform to further their innovation in a strategic way. Building applications with the high-productivity platform makes the development process faster and more flexible because instead of coding, apps are built through visual modelling. The business can have more influence and be involved in the entire app development process. Itho Daalderop is an innovative Dutch manufacturer that provides homeowners with efficient and effective living environment solutions. Itho Daalderop stands for innovative products and systems, which contribute to a comfortable, healthy and energy-efficient indoor climate. Together our products provide total systems that live energy-neutral - according to tomorrow’s climate requirements - already possible today. We strive to make people live, work and live more pleasantly - with a range that consists of heating, tap water, ventilation and control technology solutions. Visit Itho Daalderop at www.ithodaalderop.nl, follow them on Twitter and LinkedIn.